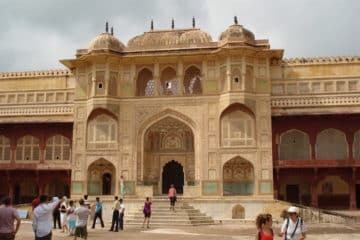 Same Day Jaipur tour package is specially planned for foreign visitors coming to India for business trips or any other purposes and wished to visit Jaipur city from Delhi in one day before leaving India, Explore the royal city of (Rajputs) Jaipur. day trip to Jaipur from Delhi and return back to Delhi same day. This package includes everything that traveller needs. 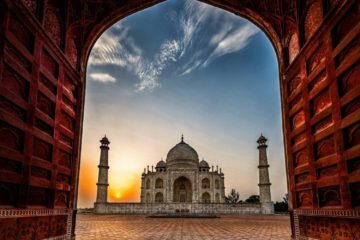 Enjoy your luxury Jaipur tour package from Delhi in Ac car, Explore Full Jaipur Local Sightseeing with Tour Guide and return back Delhi same day. 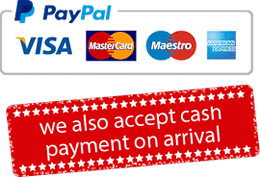 Visit Jaipur from Delhi in private AC Car. Transportation will be provided for your pickup or drop back. All inclusive package, specially designed for Foreign travellers. Pickup from Airport / Hotel from Delhi. Departure to Airport / Hotel in Delhi. Private AC Car for Jaipur sightseeing. English Speaking tour guide fee. Our Driver will Lift you up from your hotel in Delhi / Noida / Gurgaon or from New Delhi Airport and then drive for Jaipur. You will travel by Air Con car from New Delhi to Jaipur city and it will take approximately 5 hours. Our driver will speak fluent Engish and assist you on whole road journey. We will stop at the Halfway, to have some rest or for freshen up and at 08:45 after a 15-20 minutes break, we will continue our journey towards Jaipur. On arriving Jaipur city after covering a long route of 268.8 Km, you will start your same day Jaipur Tour and move to see majestic Amber Fort and enjoy the ride sitting on the back of Beautifully painted Elephants on the way up to the Fort. Amber Fort is known for its aesthetic Hindu style elements. This Mighty Fort was built by Raja Man Singh in the 16th century and was completed by Sawai Jai Singh in the 18th Century. Later after Exploring Amber fort, you will be taken to the lunch in luxury AC Multi Cuisine Restaurant, relax and enjoy the flavours of Jaipur City. After having Delicious lunch you will continue your Jaipur trip, we will drive to Jaipur city and en route, we will stop by at Jal Mahal (Water Palace) and Hawa Mahal (Wind Palace) for photography. “Jal Mahal” is located in between of Man Sagar Lake in Jaipur. The palace and the lake around it were modernized and enlarged by Maharaja Jai Singh II in the 18th century. 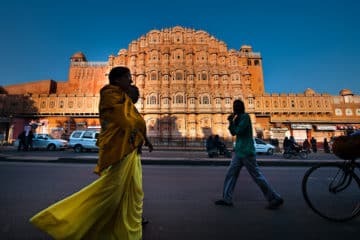 “Hawa Mahal” was built by Maharaja Sawai Pratap Singh in 1799 and designed by Lal Chand Ustad in the shape of the crown of Lord Krishna, the Hindu god. Its unique five-story exterior is similar to the honeycomb of a beehive with its small 953 windows called Jharokhas decorated with twisted latticework. 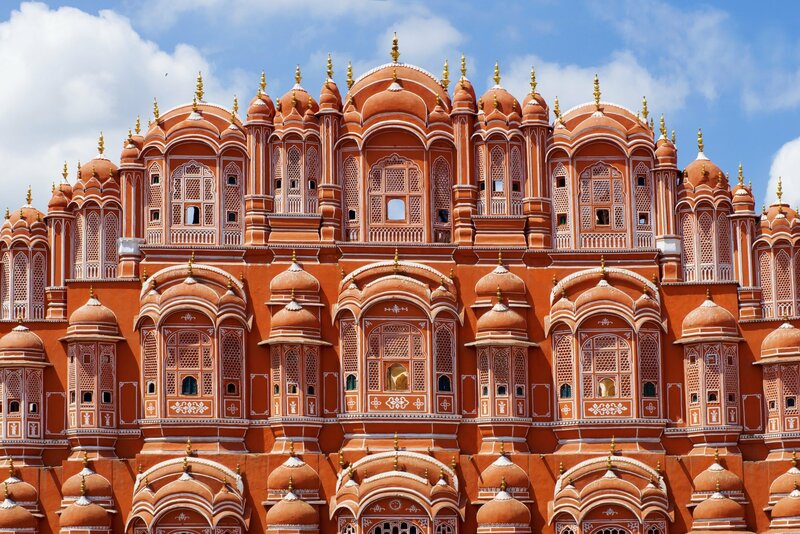 Then we will see the City Palace of Jaipur city – which is one of the fascinating places to see in Jaipur. 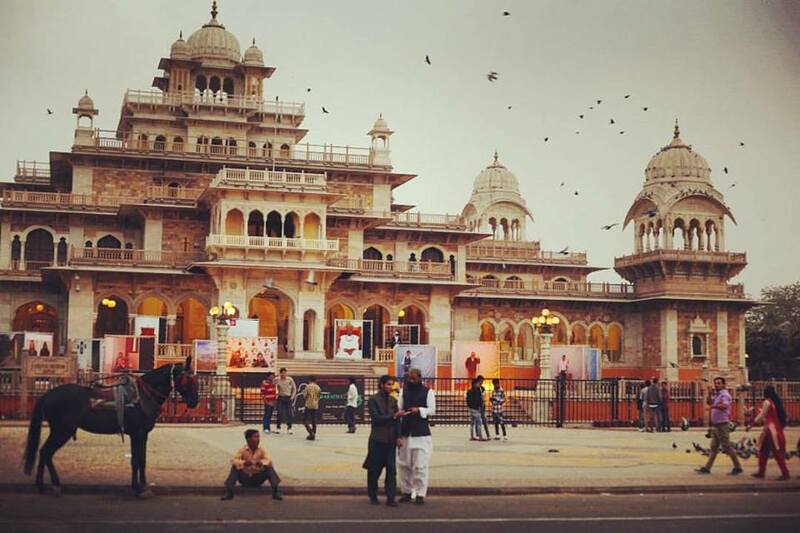 The City Palace was built between 1729 to 1732, at first construction was started by Sawai Jai Singh II, he planned and built the outer walls, and later additions were made by successive rulers continuing up to the 20th century. Visit Jantar Mantar also known as an observatory. This is also another masterpiece left behind by the Rajputs. Here your luxury same day Jaipur tour ends and you will drive back to New Delhi in AC car. Again it will take same 5 hours to come back to Delhi. Again we will stop at Halfway for freshening up for around 10 to 15 minutes. After getting fresh, we will continue the journey towards Delhi. After arriving at Delhi, our driver will drop you back to the Airport or your hotel in Delhi for your onward journey.